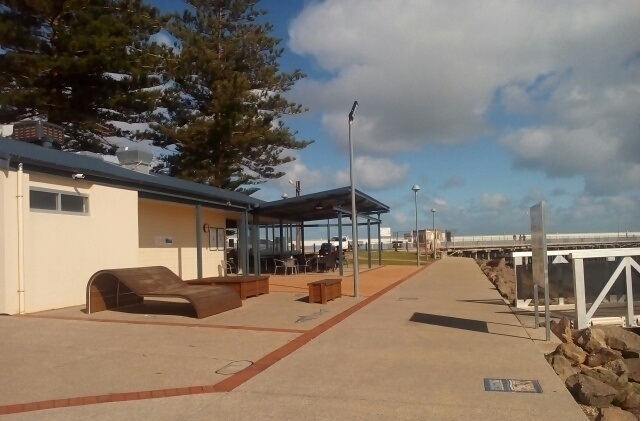 Café Mia is the refurbished version of the kiosk situated to the right of the Wallarroo Jetty, when one is facing seawards. 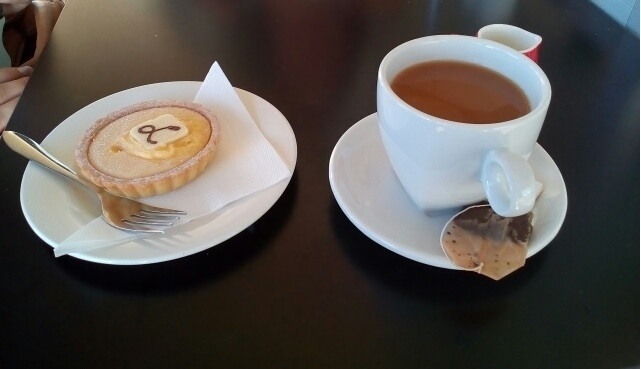 On holiday weekends the café is open from 8am till 5pm, Friday, Saturday, Sunday and Monday. According to their Facebook page, Café Mia is open 8:30 am to 5 pm most days, however, in practice, I have found that on a non-holiday week the café's hours of operation are more limited and the best time to visit is around lunch. The café offers coffee, sandwiches and light meals. Light meals include seafood, burgers and chips. There is also a refrigerator of drinks and a display cabinet of cakes. 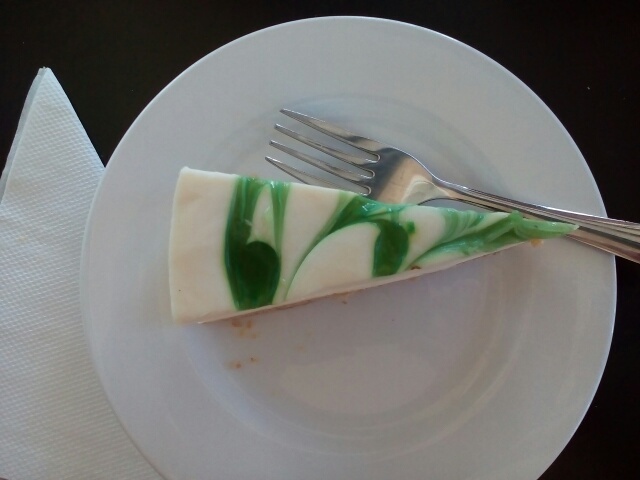 When we visited, I had a lime cheesecake, which had a unique flavour. My friend had a citrus tart. The café was busy and noisy so we sat outside. The majority of the seating is al fresco, but some of it is sheltered by the verandah and sides of the store. It is pleasant to eat and talk with friends mere meters away from the beach and new swimming area called "Wateroo" created by pontoons. Not wanting to be hard, but SA tourist venues often let the visitor down by describing one thing and doing another. Unhelpful on an industry basis, however convenient for the operator. That lime cheesecake looks delicious!